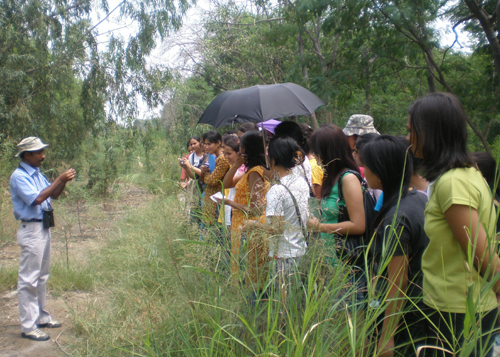 Yamuna Biodiversity Park invites the citizens of Delhi to the celebrations of the World Wetlands Day on 2nd February 2009 at 1030 am. The Ramsar Convention has suggested the theme for this year’s Weltand Day as river basins and their management. We all live in a river basin (or drainage basin, catchment, watershed, etc. ), and most of the people reading this are well aware of the challenges of managing it – and particularly the challenge of making sure that the basin planners think of wetlands and not just water in their planning.